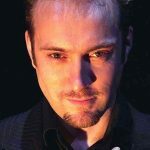 Derren’s second tour, Something Wicked This Way Comes was performed at the Old Vic Theatre for a final time with the aim of releasing it as a special TV programme. It was shown on 29th December 2006. Something Wicked This Way Comes won an Olivier Award in the Best Entertainment category. The filming of his tour isn’t currently available on All 4, but you can watch it on Amazon Video, or buy the DVD.